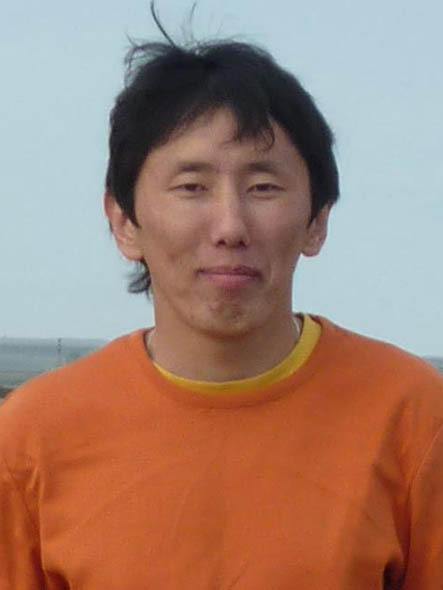 Vladimir Munkhanov, a teacher, historian and lawyer from Siberia, visits Bates College to present the lecture Buryat Traditions and the Modern World: Siberian Lives in Post-Soviet Russia at 7 p.m. Wednesday, March 16, in Room 204, Carnegie Science Hall, 44 Campus Ave. Presented by the environmental studies program at Bates with support from the Mellon Innovation Fund, the event is open to the public at no cost. For more information, please call 207-786-6289. Munkhanov is ethnically Buryat, a Mongolian people of the Lake Baikal region of south central Siberia near Mongolia. His talk will explore the cultures of this region and how ancient place-based traditions are responding to contemporary challenges in post-Soviet Russia. Professor of Environmental Studies Jane Costlow, who invited Munkhanov to campus, first met him when he spoke to her students at a Lake Baikal biological station during a Bates Fall Semester Abroad program in Russia in 2009. In his case, the tensions are both civic, because both the structures of Russian society and its self-identity remain in flux, and cultural, as Munkhanov tries to situate his Buryat culture within a modernizing Russia. The real Siberia, Costlow adds, remains unknown to many Americans. “This region is stunningly beautiful, and is deeply beloved by all Russians — a kind of iconic spiritual landscape, vast and in many ways untouched.” Lake Baikal, the deepest and oldest lake on Earth, holds more fresh water than all the Great Lakes combined, and remains relatively unharmed by human activity. “There’s a rich mix of cultures in this part of Russia,” Costlow says — Mongolian, Buryat and other native peoples in addition to Russian — and a corresponding mix of spiritual beliefs.